Events - fat city farmers, inc. 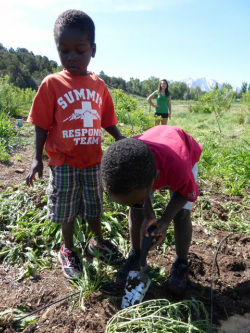 Fat City Farmers has initiated Saturday morning gardening activities this summer at Roaring Fork High's garden and greenhouse for adults with children. We invited the Buddy Program to join us and this comment comes from Candy Huffman about her experience with her little buddy, Angelie, planting carrots, pumpkins and onions. Angelie picked salad greens and edible flowers to take home to her family! "We just had so much fun! As we left, Angelie said "That was my favorite activity that we've done!" I said me too!! We will definitely be back, THANK YOU again, that trip made a bigger impact on both of us than we knew it could! Leander and Mikerson love Gardening! 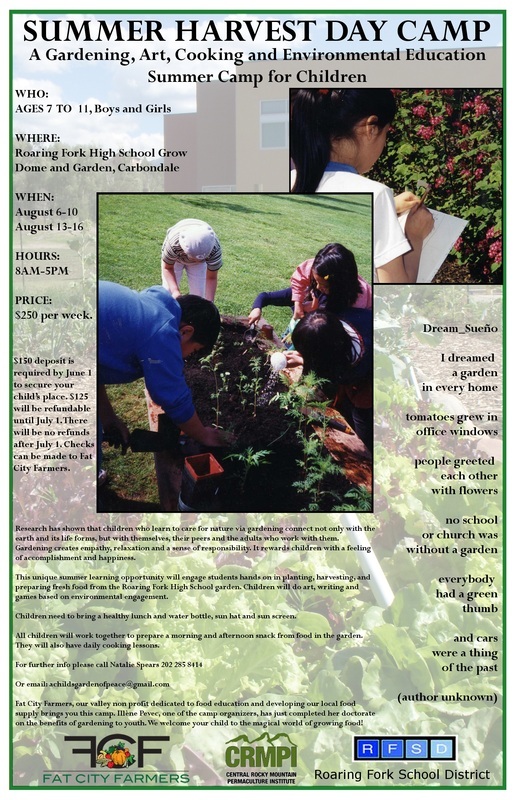 ﻿COME GET DIRTY: Fat City Farmers Offers Family Gardening workshops @ Roaring Fork High School Saturday mornings from May 31-June 21, 2014. Planting and harvesting vegetables introduces young children to the accomplishment and pleasure inherent in growing food. Studies show that children from preschool through high school eat more vegetables if they plant and tend them. 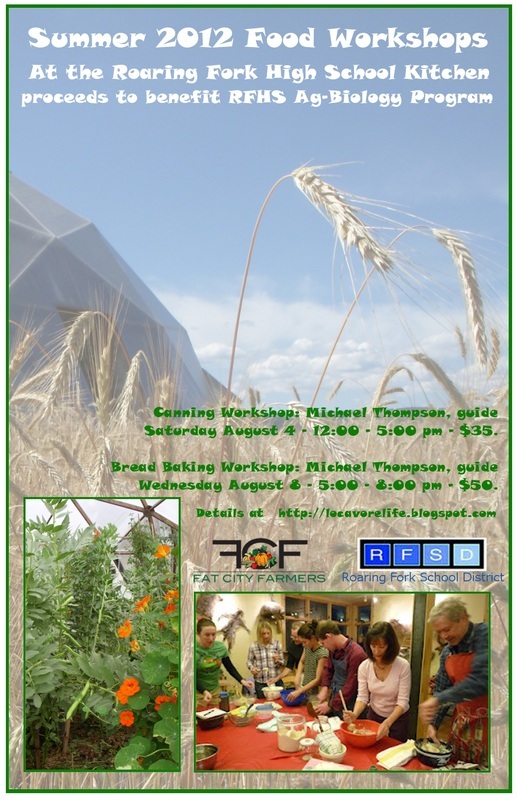 Bring your children to an introductory gardening class at the beautiful gardens and greenhouse behind RFHS. These 1 hour workshops include a greenhouse and garden tour, basic plant and weed identification, when to plant what, the chance for you and your child/ren to plant and taste something!. Once you have done the introductory course you are welcome to garden (for free) when you wish in the forest garden and harvest from the garden. 1-time Fee: $5 donation per family for the workshop or what you can afford. 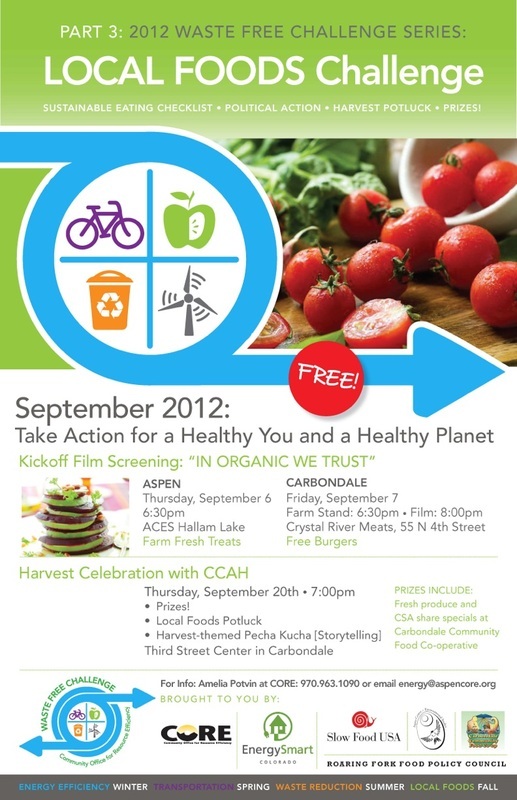 Invest in your family’s health: plant some seeds, grow health, pleasure and community! We want to grow a forest garden with you and grow community too. Se habla español. 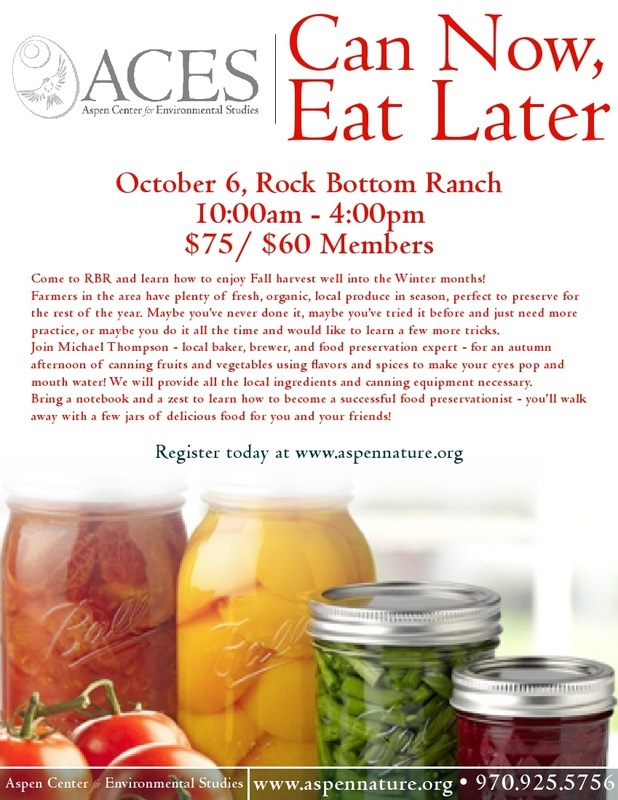 RSVP to this email or Call 970-274-1622 for info and to pre-registe! All ages children with parents welcome. Bring a hat and sunscreen, garden gloves if you have them, water bottle. There will also be 4-week sessions on weekdays for families who wish to have more in-depth gardening with a mentor offered by Cody Lee in collaboration with Aspen Tree.